As you age, your body can experience shifts in health that affect your mouth in ways you might not expect. 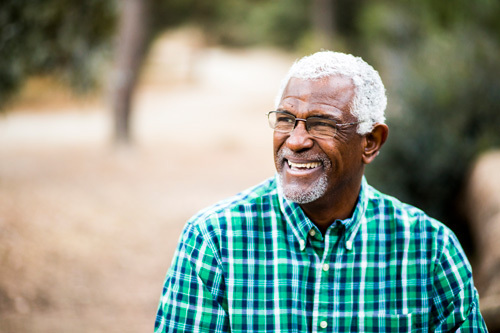 In honor of Healthy Aging Month, take a look at two conditions people may encounter with age that can affect their oral health – Sjögren’s syndrome and bone loss. One symptom that’s shared to some degree among almost every person with Sjögren’s, however, is dry mouth.14 Without adequate levels of saliva to help remove mouth debris, your teeth become increasingly vulnerable to decay.15 Fortunately, there are ways to lessen the effects such as taking frequent drinks of water, reducing alcohol and caffeine consumption, avoiding tobacco and limiting the number of carbonated beverages you drink. Additionally, chewing sugar-free gum, using artificial saliva and trying an oral rinse may help. With these threats to your oral and overall health, it’s important to take proactive measures to stay in control. Calcium and vitamin D are both critical to preventing bone loss. It can also help to avoid smoking, limit alcohol consumption and engage in regular weight-bearing exercise such as walking, jogging and weight training.16 Work with your dentist to prevent bone loss or to treat it if you’ve already begun experiencing symptoms.